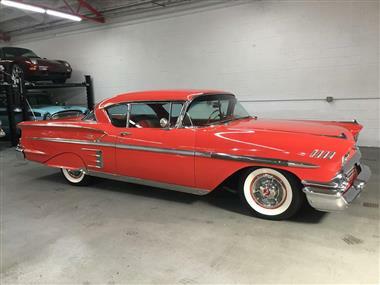 Veloce Motors is proud to offer this Rio Red 1958 Chevrolet Impala show car.</p><p>This is a factory correct restoration</p><p>~348 Tri-Power V8 Engine - sounds fantastic<br />~350 Turbo automatic transmission<br />~Correct carbs<br />~Stainless Steel exhaust<br />~Power brakes with Disc brakes in front<br />~California one-piece bumpers in front and rear<br />~Original restored chrome<br />~Correctly fitted, upgraded cassette radio</p><p>Amazingly beautiful from top to bottom and drives even better. 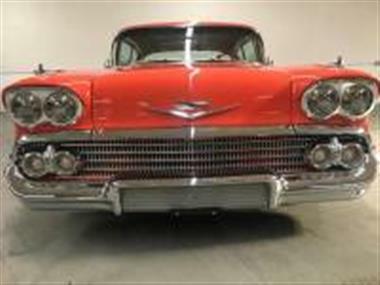 Frame off restoration done in California from a body that was found rust free in Tijuana Mexico! 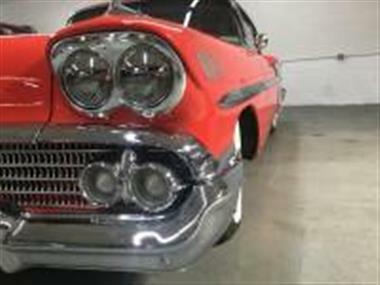 All original chrome - original restored dash and steering wheel - correct interior material with buckets. Run and drives beautifully. 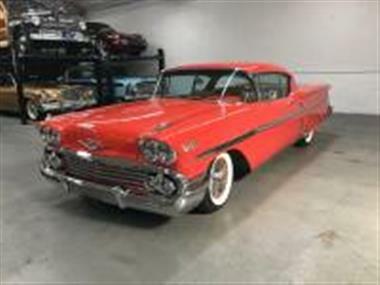 This is a great investment piece with lots of love and caring put into its rebuild. 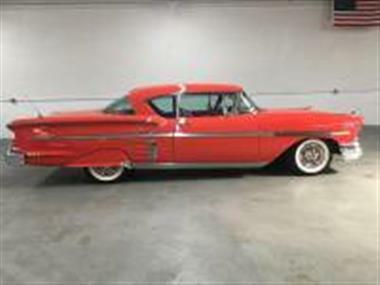 This Impala is ready to win that next car showandhellip;nothing more to do. 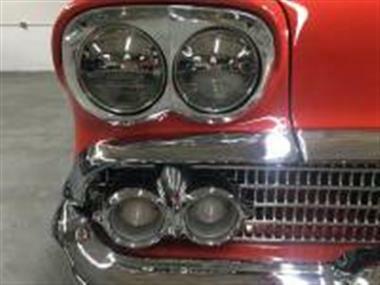 We reserve the right to end the sale or remove it at any time.<br />Contact us at 619-350-3049 for more information or to schedule an appointment. 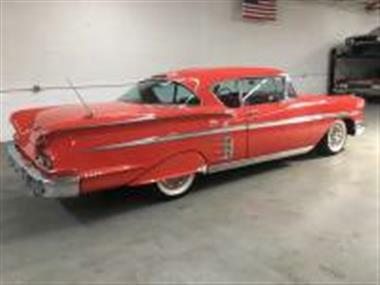 All showings are done by appointment only from our private vehicle storage facility. 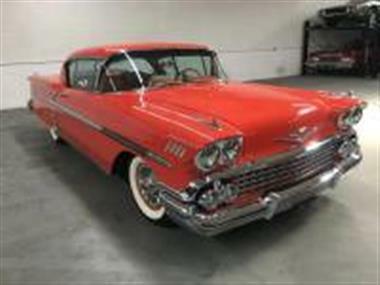 This vehicle is priced $2,403 more than the Average Market Price of $63,497 for a 1958 Chevrolet Impala. This is a Fair Deal as it's priced 4.0 % above market avg. The Pie chart below shows the number of ads within different price ranges.